What goes bump in the night? And then I have another thought. Or who? Maybe I shouldn’t stop. Maybe I should just forge ahead. Of course, pausing proves not to be my first mistake. Getting up was. But then I hear another noise. It’s coming from the kitchen. Something is in my kitchen? Or someone. I try not to panic. It could just be Gramps rooting around for something to snack on. Sure, except for one thing. Gramps is away on a trip with his seniors club. Catt’s best friend, Jilly, is getting married to C.S.I.S. agent Morris Ali. Her society snob sister, Micky, insists on being the wedding planner, the antique wedding ring goes missing in a rash of unexplainable robberies and there is an extremely strange woman claiming that Catt’s husband, Jack, is her betrothed. What could possibly go wrong? 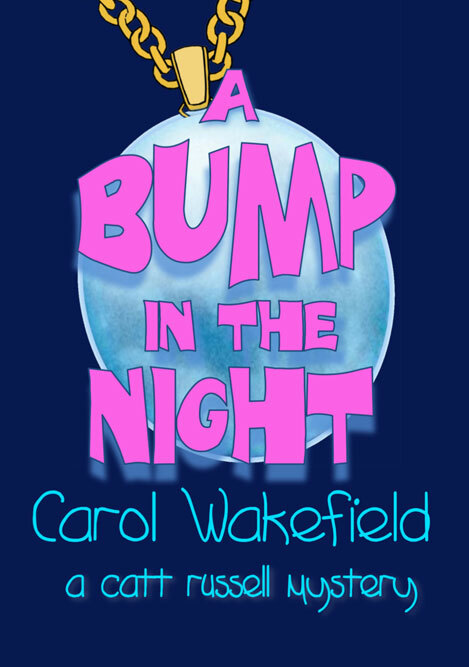 Catt Russell, an ordinary suburban mom with unordinary, uncontrollable and unreliable psychic powers, makes her fifth appearance in author Carol Wakefield’s Catt Russell Mysteries, from Inkworks Press. Available from Inkworks Press, 905-884-9060 for $14.99 (plus S&H).